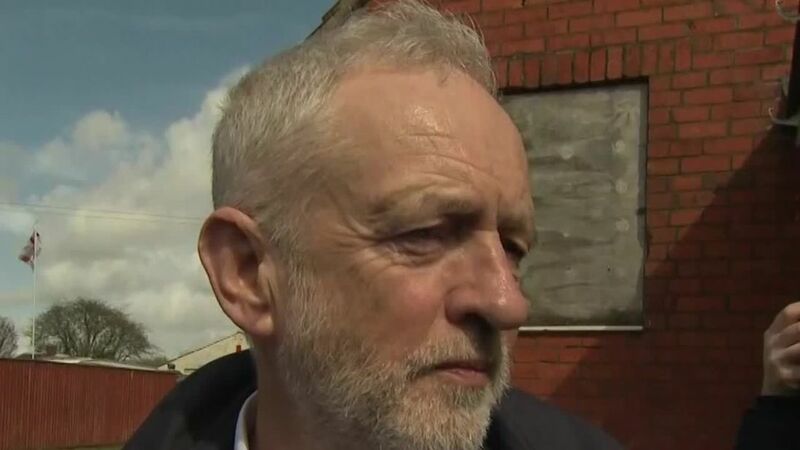 Jeremy Corbyn has said he accepts "my personal responsibility" to lead the fight against anti-Semitism in the Labour party. Replying to a joint letter from the Jewish Leadership Council and Board of Deputies, the Labour leader promised to "recommit to doing all I can" to fight anti-Semitism.He has agreed to meet with the two organisations to quell concerns Labour is not doing enough to combat discrimination against Jewish members and MPs.The letter from Mr Corbyn, obtained by Sky News, said: "My offer to meet you unconditionally still stands. "I place no limitations on the points you would wish to raise and am happy for the agenda to cover the issues you've already outlined...:: Labour's anti-Semitism row: Who are all the different groups? "I recognise the full legitimacy of raising concerns about anti-Semitism, whether that is done by MPs or ordinary party members. "I remain resolutely opposed to the abuse of MPs, or anyone else. "While loyal Labour parties benefit from discussing current political concerns, such discussions should always take the form of comradely dialogue based on understanding and compassion - and should never be a forum for threats, intimidation or abuse." The groups have accepted the meeting with Mr Corbyn, and called on him to use his "own personal authority" to "drive through the changes required". "Ultimately, the most important thing going forward will be action and not words," they said in a letter in response.It comes after Mr Corbyn defended attending an event hosted by the "Jewdas", a "radical" left-wing Jewish group.He was accused of "deliberately provoking the Jewish community" with his visit, which attracted a backlash from Jewish leaders, anti-Semitism campaigners and Labour MPs.Speaking on a campaign visit to Swindon on Tuesday, Mr Corbyn insisted he had "learnt a lot" from the Jewdas gathering. Labour's anti-Semitism row: Who are all the different groups? He told reporters: "It wasn't a meeting last night, it was a Seder event, which is a celebration of Passover, which I celebrate with young Jewish people from my own community and my own constituency. "It was very interesting talking to a lot of young people about their experiences in modern Britain and I learnt a lot. Isn't that a good thing?"